After the longest interval I am back. I was busy with many personal and professional projects. Moreover wasn’t motivated enough for the blog. However, I feel as the summer has officially set in, I have many ideas, DIYs, recipes and fun things to share. So here I am, back to where I belong. This year is supposed to be one of the hottest years in the history of the world. It is crazy hot in Dhaka right now, the air contains 96% humidity. Hair, skin and overall health has gone all bonkers. We need to be extra careful and take very good care to sustain this weather. The exposure of the sun, humidity and heat wave damage the skin and make it tired looking and dull. I came across to this wonderful face steam idea in Little green spot. This steam will help the skin fight with dust and heat. I used the ingredients available at home. It helped me wake up my senses, the skin looked refreshed and there was an instant glow on my face. 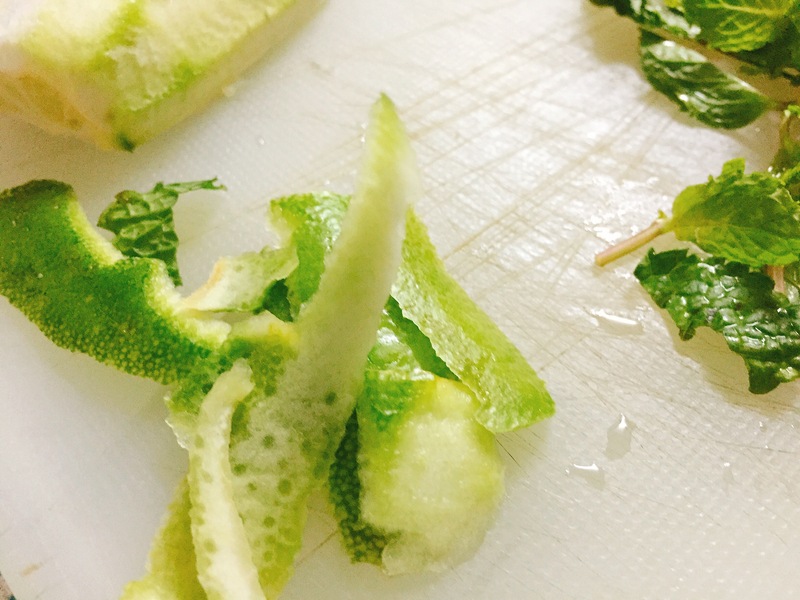 I used only three ingredients initially fresh Mint leaves with stem, lemon peels and Chamomile tea. Later, I thought few drops of Geranium essential oil will add extra freshness, hence added that too. In a steel bowl, I put boiling water and gave all the ingredients and kept it covered for few minutes to work out. It is better to take the steam for about 10 – 15 minutes, as long as the vapour is there. I kept the water, strained it and added with my shower later. The sweet and tangy smell gave me an energy boost too. This really helped my skin to get a fast shine, boosted my senses, opened my nose and energized me to the core. 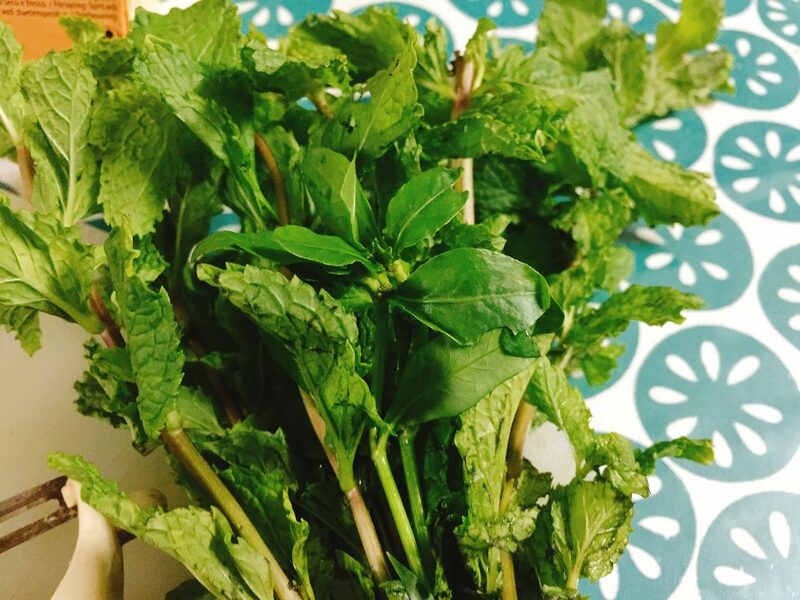 Mint: This is undoubted my most favorite herb. It is rich in antioxidant and anti-inflammatory agents. Mint has natural healing properties. Lemon: Lemon peels help fighting skin problems such as wrinkles, acne, pigmentation and dark spots. These are also rich in antioxidants which tend to detoxify the skin. Chamomile: Chamomile has calming ingredients. It calms and soothes senses and the skin. Chamomile is also an insomnia cure. Geranium essential oil: Relieves stress and improves over all health of the skin. Try to beat all the pollution, heat, humidity in this scorching weather. 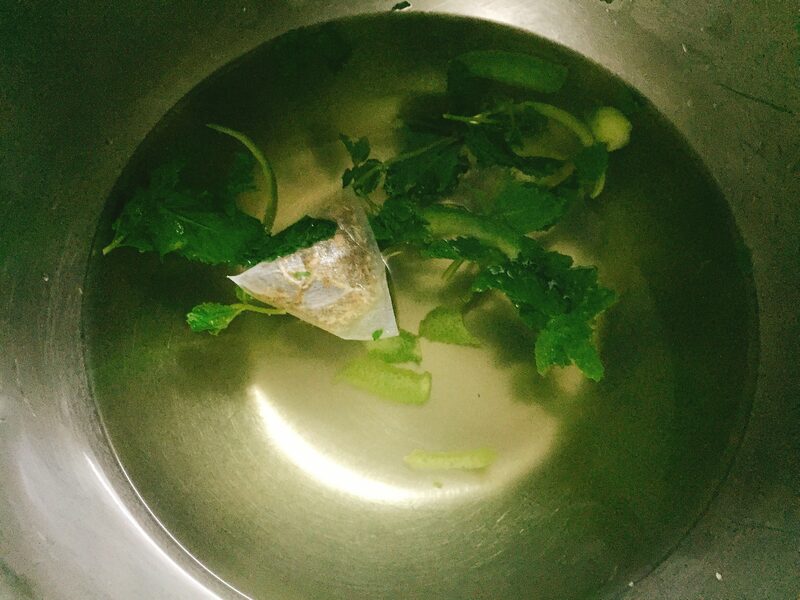 Take this 15 minutes cleansing steam once a week and finish it with a homemade face pack made of natural ingredients. Lastly remember to rub little ice, to close the pores. Happy summer to you all.